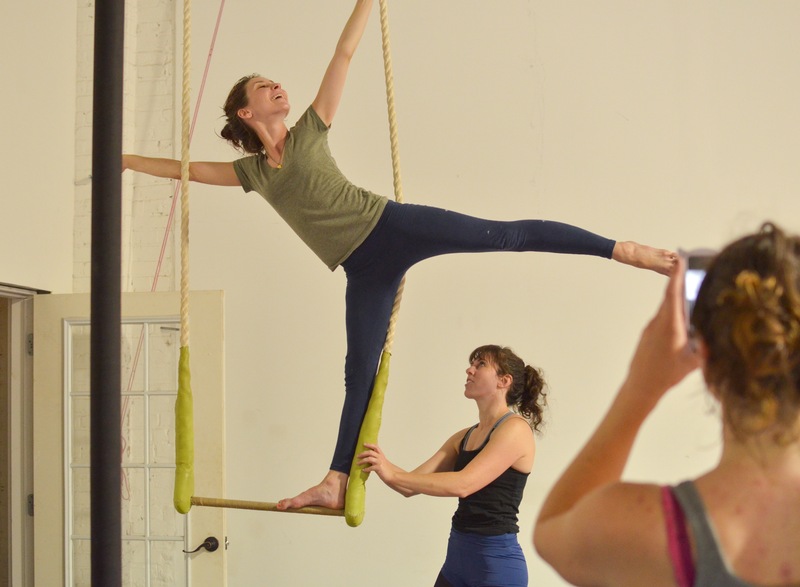 Air Temple Arts, a fast-growing, recreational, circus studio located near downtown New Haven, has expanded to a beautiful new location and we are seeking committed instructors to help us expand our programming for both our adult and youth programs! Air Temple Arts was recently featured on season three of PBS’ award winning show START-UP which spotlights unique and promising small businesses across the country. We are looking for instructors who are passionate about teaching and not just performing, who are looking to be part of a community long term. A required minimum of teaching three regularly scheduled session classes a week, with availability for more classes, private lessons, and workshops. This is a six-month minimum commitment but we would prefer to hire long term instructors. A serious passion for teaching! We are willing to consider applicants with minimal or no teaching experience provided they can show that they have an extensive aerial background and are committed to pursuing a career in circus instruction. If you have some sort of teacher training, that will be extremely beneficial. For applicants without prior teaching experience, please include on a separate page why you wish to pursue teaching, any experience that will show as beneficial whether in circus or outside of it, as well as any other information that you deem relevant. For more information email info@airtemple.com. To apply, please send resume, cover letter, two references, and a video or link to a video of yourself in the air* to info@airtemple.com. *This can be a promotional video, a training session recorded on your phone, whatever—we just want to see you in action!